Christy Wang is this month's presenter of Friday Showcase for The Quilters' Guild of NSW Inc.
Members may know of Christy as a Professional Long Arm Quilter who has helped many from the guild bring their "flimsies" to life : becoming beautifully finished quilts. She is a strong believer that quilts need cohesion and that the quilting is there bring the quilt to life and not be the life of the quilt. She likes to spend time with her clients to discuss pattern and colour, and loves the story behind a quilt, and further enhances this story with complimentary quilting. By studying and then exploring different techniques and styles, she is able to bring individuality to the designs she creates for her very large client base. Come along to hear Christy's own "Quilting Treasures" story: her initiation into quilting and how her previous career has helped her use quilting machine software. Congratulations to Wollongong Modern Quilt Guild for organising Australia's First Modern Quilt Show. 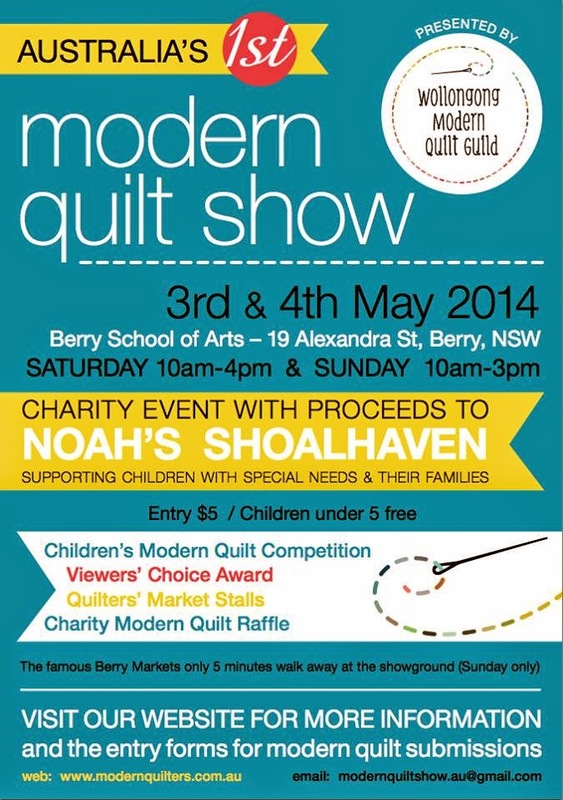 This is a Charity Event with proceeds supporting Noah's Shoalhaven : Children with special needs. 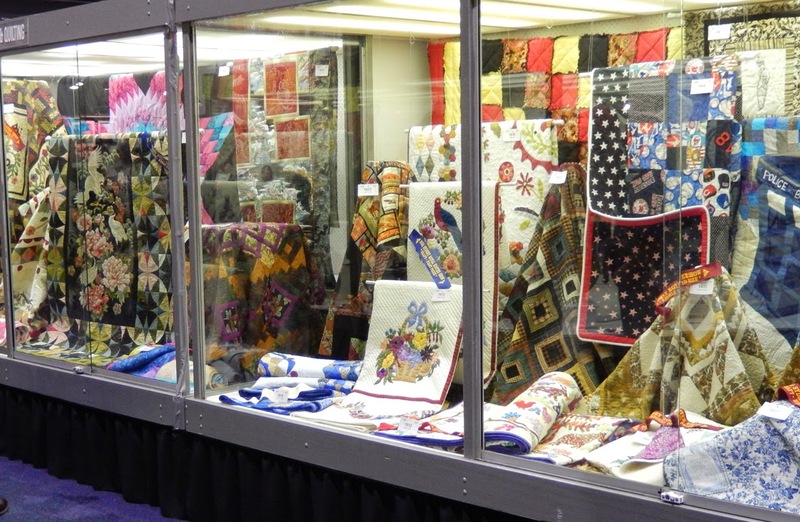 Australian quilters are invited to enter the World Quilt Competition and have their work tour in the United States to quilt shows run by Mancuso Show Management. Accepted entries will premiere at the World Quilt Show - New England XII (14-17 August 2014). Entries can be submitted online, by e-mail or by post. The closing date for entries is 19 May 2014. Download, complete and return the World Quilt Competition Entry Form (PDF) by e-mail or post. Innovative and traditional entries compete for over US$10,000 in cash, prizes and awards including Best of World, Best Use of Colour, Best Traditional, Best Innovative, Best of Country and Viewer’s Choice. 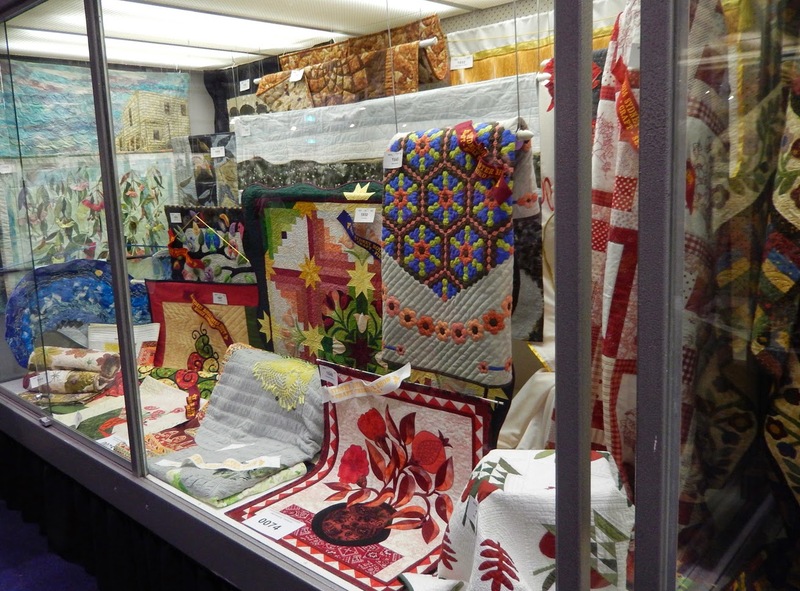 The 9th Annual Springwood Community Quilt Show, to be held at Springwood High School once again, is the most well known Quilt Show in the Blue Mountains. 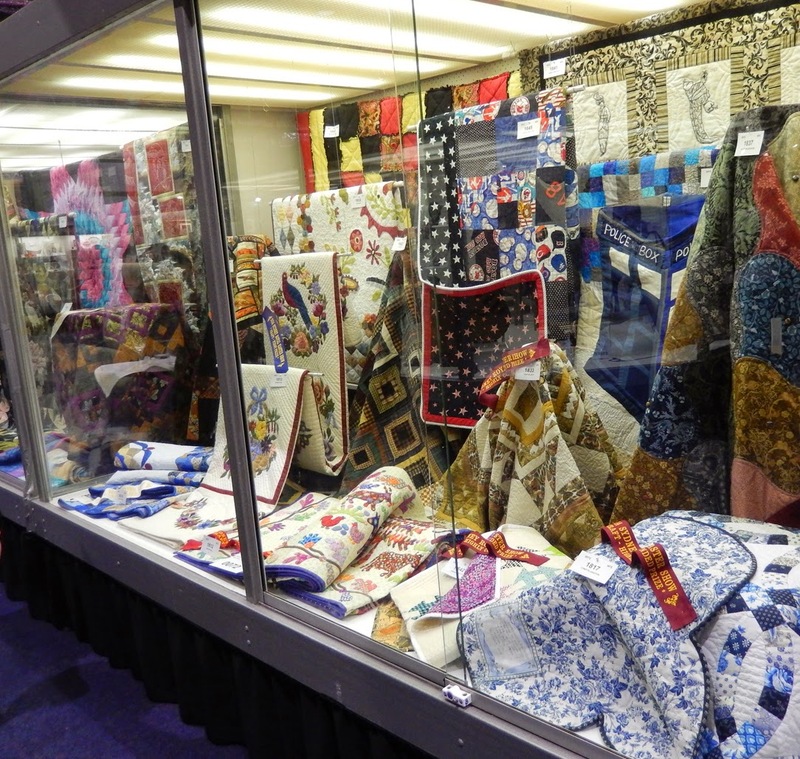 As this year's Show falls on the ANZAC weekend there is the opportunity to have a leisurely trip to the Blue Mountains to enjoy the Autumn foliage, AND the Quilt Show. Members have been extremely busy finishing the Raffle quilt : the design is their interpretation of an English quilt by Grace Slater c1840. The original quilt is housed at Gawthorpe Hall in the UK. Followers of Springwood Quilters would already know that the main beneficiary for monies raised from the yearly raffle quilt is donated to the Blue Mountains Rural Fire Service. The devastating fires last year in the Mountains affected many, and the RFS is continually grateful for the support from these creative local quilters as this has helped replace many supplies and equipment. There are going to be over 150 quilts on display, supported by the presence of 13 stallholders, and a wonderful onsite cafe for refreshments. 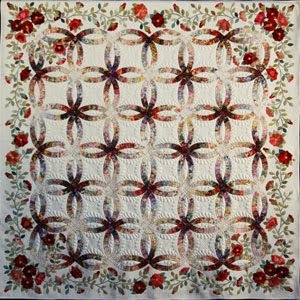 Janet Treen, Member of The Quilters' Guild of NSW Inc. has won Best of Australia 2013 with her Quilt "Rings & Roses"
Bernina Australia present this award to the maker of the quilt that is judged Best, from the "Best of Show" quilts awarded at the annual State Guild Quilt Shows during the previous 12 months. The Bernina Awards were announced at the Australian Quilt Convention Dinner in Melbourne on Saturday Night. Congratulations Janet upon receiving this prestigious accolade for outstanding artistry and workmanship. 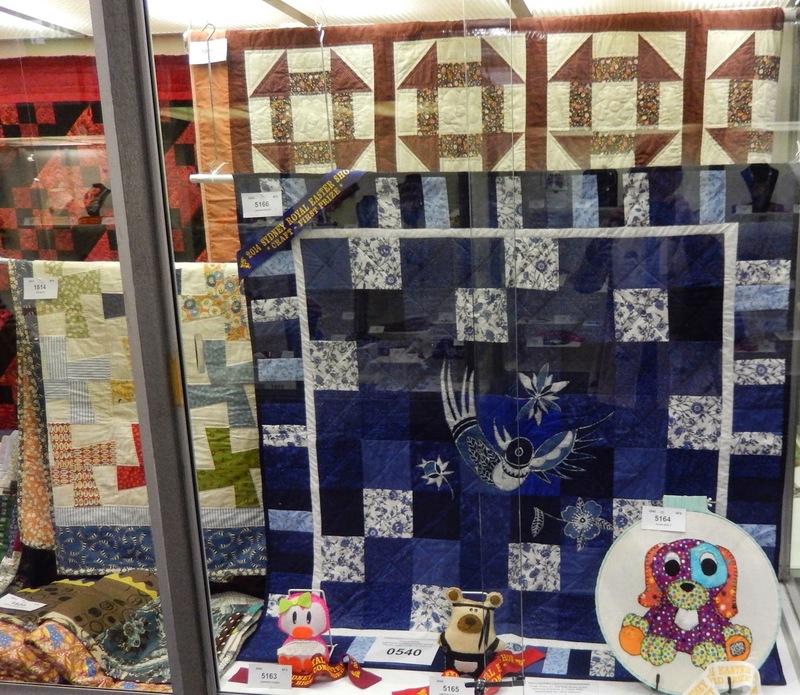 Thank you to all the Guild members who supported the Patchwork, Applique and Quilting section at the Easter Show this year. There were more than double the number of entries from last year - over 70 quilts. Arts and Crafts is in a brand new pavilion this year, just across the road from the Dome where the District Exhibits are displayed, and the quilts are in a central location right beside the Standard of Excellence case. The prize for the Best Exhibit in Patchwork, Applique and Quilting, which the Quilters’ Guild of NSW supports, went to Robyn Martin. Congratulations, too, to Anne Kintominas – 1st prize for Embroidery of Modern or Contemporary Design – and Wailyn Mar – Highly Commended for Sienna Cake/Panforte. And to any other Guild members who entered/won awards in other sections. The Sydney Royal Easter Show is on until 23rd April, so please do come to the Arts and Crafts Pavilion if you are attending. Quilt Show : Emu Plains this weekend.